Abdulwahhab Muhammad Ali al-Sayrafi was born in 1968 in the Dawud quarter of Old Sana'a, 150m from the site of Ghumdan – the ancient palace that was home to the earliest recorded alabaster windows – and even nearer to those oldest extant windows in the Great Mosque. His family had been the most renowned alabaster cutters in the land, supplying windows to Sana'a and many other regions of highland Yemen. A document in Abdulwahhab's possession, bearing the seal of one of the imams, the former rulers of Yemen, confirms his family's right to extract alabaster. Before Abdulwahhab was born, however, the old craft had died out and the Sayrafi family had turned to joinery - a trade in which they also excelled. 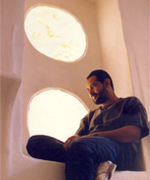 Following the death of his father in the mid 1990s, Abdulwahhab began to realize that the treasure-house of alabaster lore acquired by succeeding generations of his family would soon disappear. He thus began to learn the techniques of alabaster working from older members of the family, and started a one-man revival of the craft, initially using slabs that had lain untouched in store for decades. 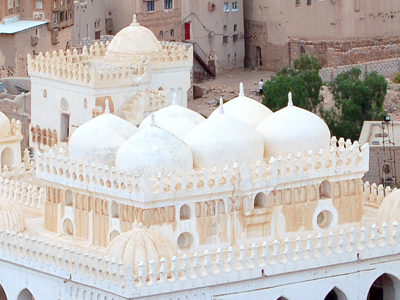 The venture took place at a time when conservationists were making serious efforts to preserve the unique buildings of Sana'a, and Abdulwahhab participated early on in several important restoration projects. 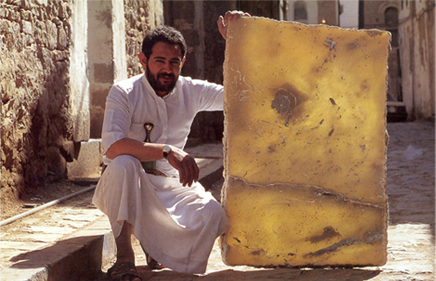 Among these were the restoration of Bayt Abu Luhum and of the mosque in the old Ottoman barracks, whose unique alabaster minbar (pulpit) he reinstated to its original condition. Since then, Abdulwahhab has worked on many other restoration projects, including those of the National Museum in Sana'a and of the superb early 16th-century Amiriyyah Madrasah in Rada', south of the capital. Abdulwahhab is still the only craftsman in Yemen keeping the ancient skills alive. But he has also taken alabaster beyond the old tradition, juxtaposing the stone with coloured glass to produce windows of striking and innovative design. 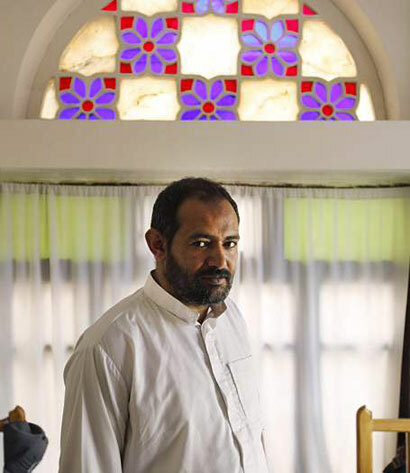 His customers have included the president of Yemen, who incorporated the windows into his restored family house outside Sana'a, the Social fund for Development ( hababah school) , and the British writer, broadcaster and long-time resident of Sana'a, Tim Mackintosh-Smith. Abdulwahhab's other notable innovation has been to produce an exclusive and beautiful range of alabaster lamps and candleholders. These combine the traditions of Sheba's architects with the demands of 21st-century interior design, and have found discerning buyers from all around the globe – from the Gulf to Japan, and from the USA to Europe to Australasia. Abdulwahhab's work has been exhibited at a number of venues in Yemen and beyond – at the American Institute for Yemeni Studies, the German House and the British and US Embassies in Sana'a, for example, at the prestigious XVA Gallery in Dubai, and at Expo 2000 Hanover. His media appearances include interviews on the French television channel TV5, in the documentary film The English Sheikh and the Yemeni Gentleman, and in Saudi Aramco World magazine.